Recently when I visited to Bangalore – my native place which is located in Karnataka in India, I went to several places. 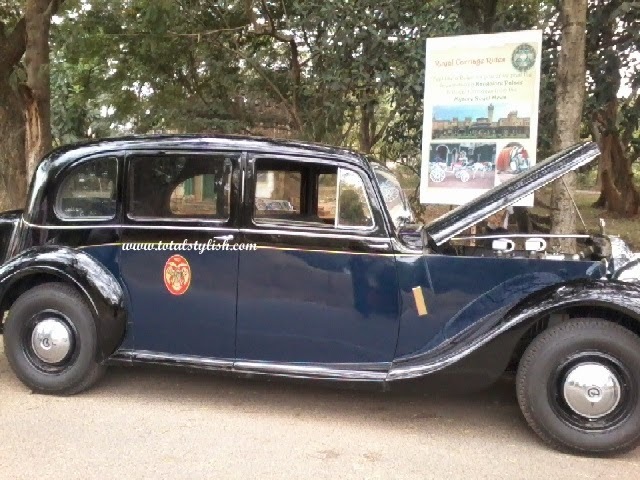 One day I went to Bangalore Palace, There I spotted most fabulous vintage cars. Vintage cars are known for their status symbol. 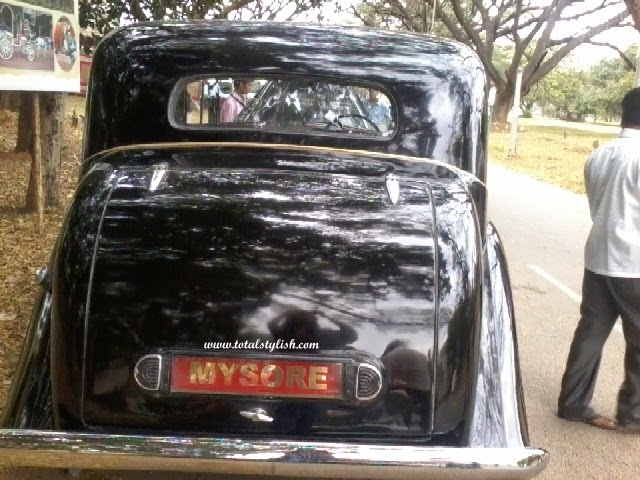 All the cars I spotted were belongs to Maharaja’s (His highness) of Mysore and Bangalore. I don’t have much knowledge about the cars but they were very stylish. I wished to have a drive with my Hubby - Swapnil but due to short of time we missed the drive. 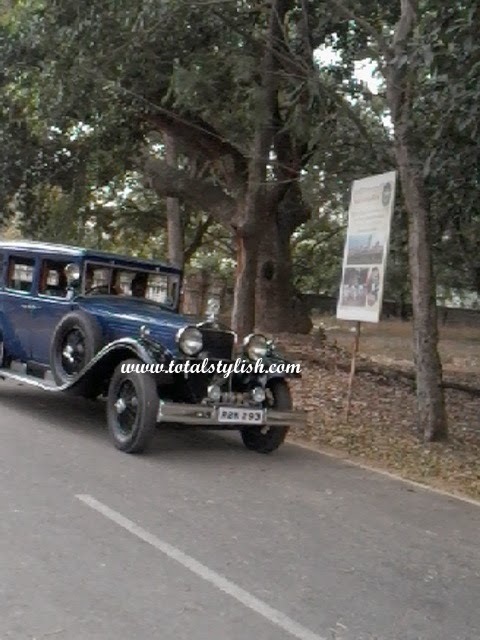 Friends have a look at the photos of vintage cars clicked. 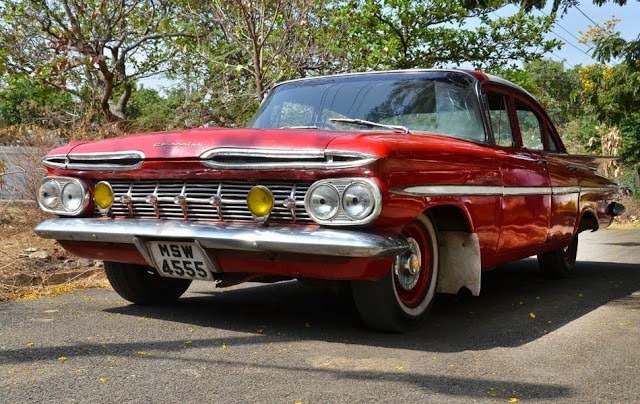 This vintage car is known as Chevy Belair and is manufactured in year 1959. 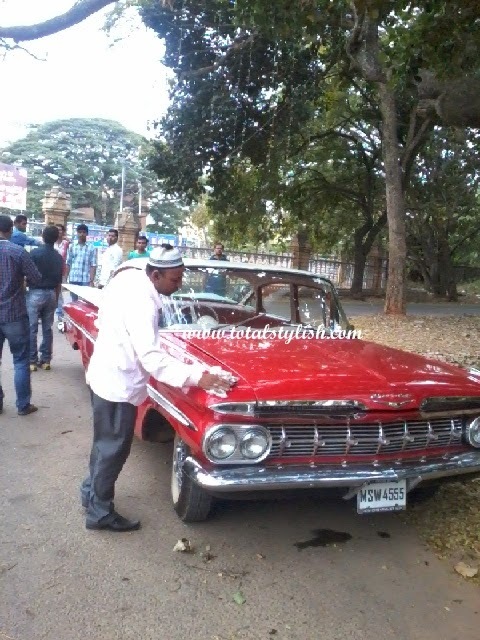 Presently this hot red vintage car is owned by Sulaiman Jamal – The Businessman. Car number is MSW 4555. 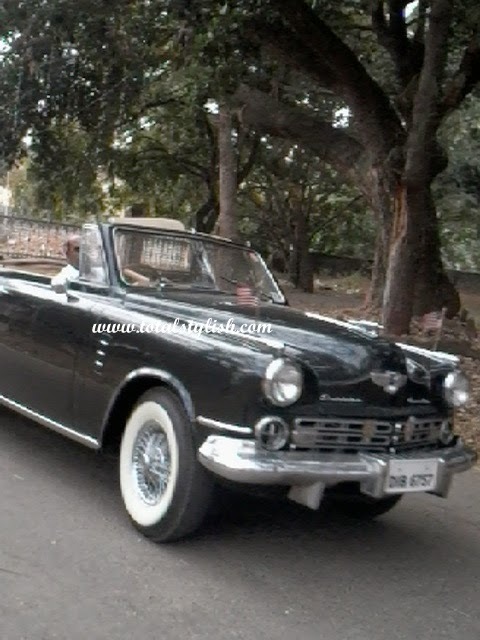 This car is known as Daimler Maharajah. Color combination of blue and black looks so awesome. This car was manufactured in year 1947. 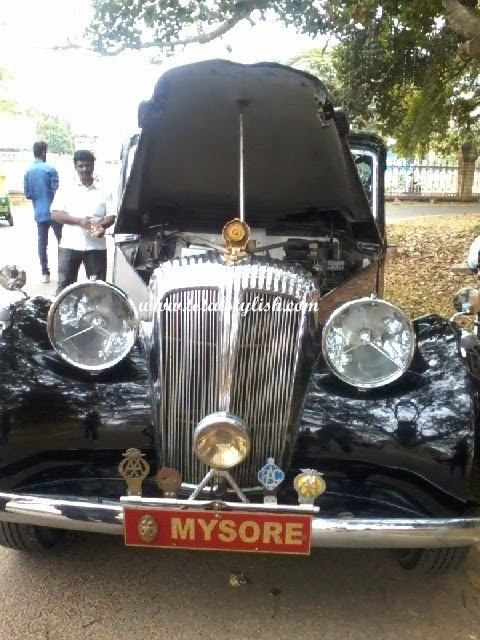 This car was owned by Maharajah of Mysore – Jayachamaraja Wodeyar.